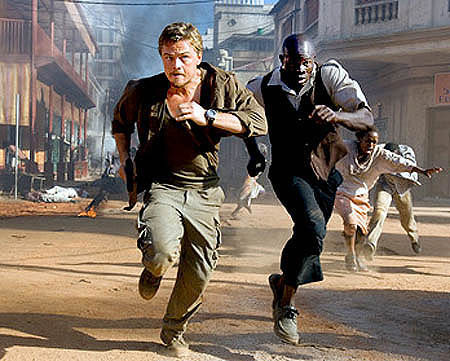 I saw the movie Blood Diamond yesterday. It was so intense. I could not believe the war and chaos in that country. I did not know that people were dying over the production and mining of diamonds. It was educationally disturbing. I registered with blogazoo recently. At first they denied my blog because they said Nutang has frame breakers and they do not allow any of our accounts access. Then I asked to Dave to fix it. So now I am in. However I am not getting any hits from the credits I have allocated. Blogazoo said that you only get hits from the credits you earn by the amount of people on their servers. So basically, there arent enough people on blogazoo so you do not get many hits for your credits earned. In my opinion, it is not worth signing up for and wasting your time viewing blogs for credit!! 1. Butter a 9 inch square baking dish, and set aside. Melt butter in a large saucepan over medium heat. Stir in the sugar and corn syrup until smooth. Heat to 290 degrees F (145 degrees C) using a candy thermometer. 2. When the temperature has been reached, stir in 1 cup of the walnuts, and cook for 3 more minutes, stirring constantly. Pour into the prepared pan, and allow to cool. When the toffee is cooled, remove from the pan, and place onto waxed paper. Melt chocolate chips in a metal bowl over a pan of simmering water, or in the microwave, stirring frequently until smooth. 3. Spread half of the melted chocolate onto one side of the toffee slab, and sprinkle with half of the remaining nuts. Allow to cool until set, then repeat with the other side. Break into bite size pieces when set. 1. Insert wooden sticks 3/4 of the way into the stem end of each apple. Place apples on a cookie sheet covered with lightly greased aluminum foil. 2. Combine caramels and water in a saucepan over low heat. Cook, stirring often, until caramel melts and is smooth. Stir in the vanilla. Dip each apple into the caramel and gently run apples around insides of saucepan to scrape off some of the caramel. Scrape excess caramel from the apple bottoms using the side of the saucepan. 3. Combine the miniature marshmallows and pecans on a dinner plate. Roll the apples in the mixture to coat. Place on the aluminum foil and chill. 4. Put the chocolate chips in a microwave-safe bowl. Cook in the microwave for 30 second intervals, stirring between each, until melted and smooth. Drizzle over the apples and return them to the refrigerator until ready to serve. 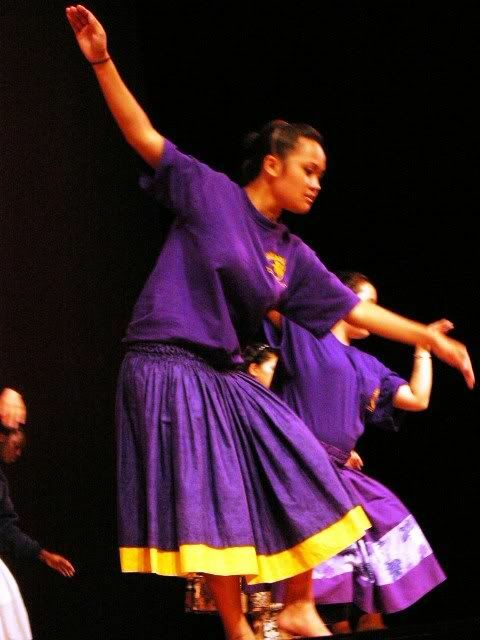 I was thinking about opening up a hula studio and teaching hawaiian dance. I am planning on opening the school in an expensive area. It is up on a hill where rich people live. They have their own little community of yuppy people that dont like to come down the hill to socialize. I think I just came up with a name for my school... "Aloha O Panaewa Dance Studio"
I want to use that name because it is a part of my daughters hawaiian name. 1. Line a large jellyroll pan with heavy-duty foil. 2. Place white chocolate in a microwave-safe bowl. Heat in microwave on medium setting for 5 to 6 minutes. Stir occasionally, until chocolate is melted and smooth. 3. Place candy canes in a plastic bag, or between two pieces of waxed paper. Using a mallet or rolling pin, break the candy canes into chunks. Stir peppermint into melted white chocolate. Spread evenly in pan, and chill until set, about 1 hour. Break into pieces by slamming pan on counter. Who can do without fudge for the holidays?? 1. In saucepan, over low heat, melt chips with EAGLE BRAND® and salt. Remove from heat; stir in extract. Spread evenly into waxed paper-lined 8-or 9-inch square pan. Sprinkle with peppermint candy. 2. Chill 2 hours or until firm. Turn fudge onto cutting board; peel off waxed paper and cut into squares. Store covered in refrigerator. I want to dedicate the next few posts to homemade christmas gift ideas. I have been looking up some recipies and I would like to share them with the Nutang community. This one looks yummy and simple. 1. Line a 15-in. x 10-in. x 1-in. baking pan with foil and coat with nonstick cooking spray. Place crackers in rows on foil. In a saucepan, melt butter; add the brown sugar and bring to a boil. Boil for 3 minutes. Pour over crackers and spread until completely covered. Bake at 350 degrees F for 5 minutes (crackers will float). Remove from the oven. Turn oven off. Sprinkle chocolate chips and walnuts over crackers. Return to the oven until chocolate is melted, about 3-5 minutes. Remove from the oven; using a greased spatula, press walnuts into chocolate. Cut into 1 in. squares while warm. Cool completely; remove candy from foil.